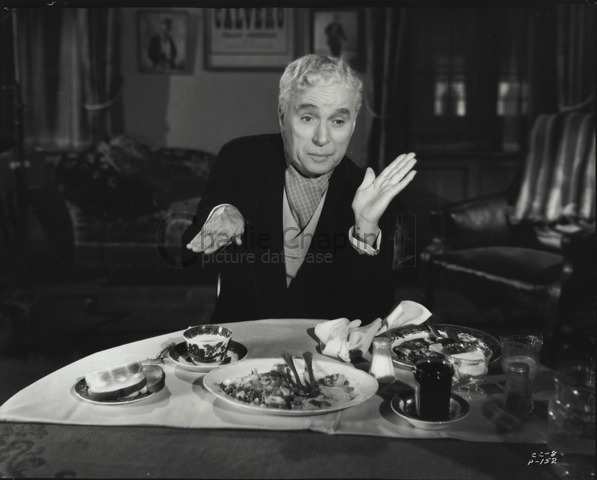 Charlie Chaplin : Charlie Chaplin... His Recipes! 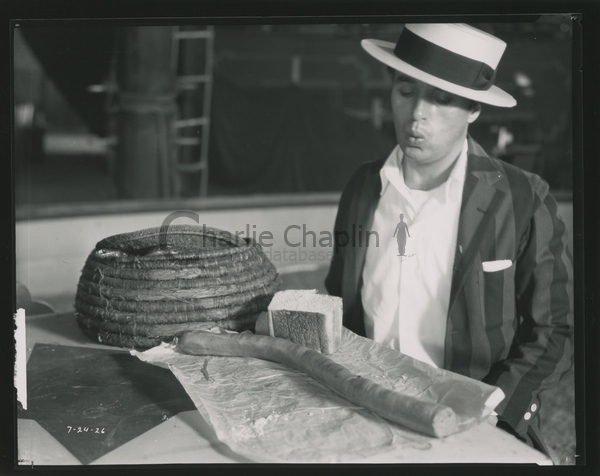 It has long been recognized that “food” in one form or another was a very important part of Charlie Chaplin’s life and art. 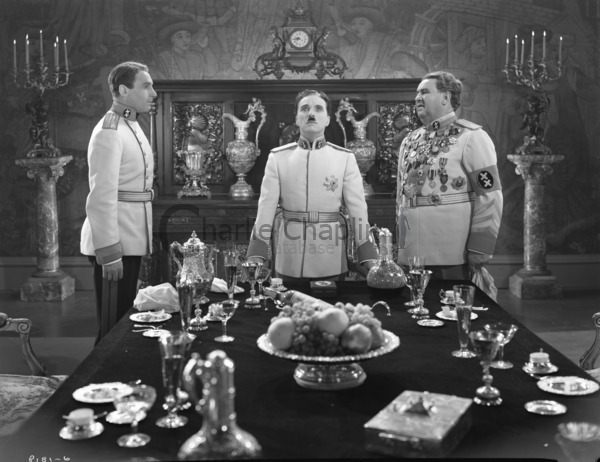 Scenes as widely recognized and remembered as the boiled shoe Thanksgiving dinner in The Gold Rush, to the pancake breakfast and “hearty” stew dinner of The Kid and the strawberries and “Henglish” mustard of The Great Dictator are just a few examples. How many people know, however, that Charlie was also in the habit of publishing his recipes? 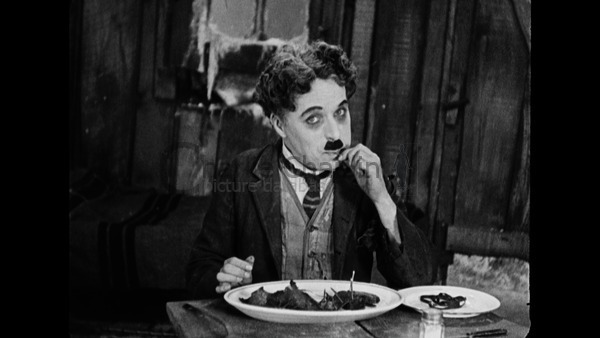 Throughout his public life, Charles Chaplin was called upon by one organization or another to donate a favorite recipe for publication in a cookbook to be sold to raise money for charitable purposes. 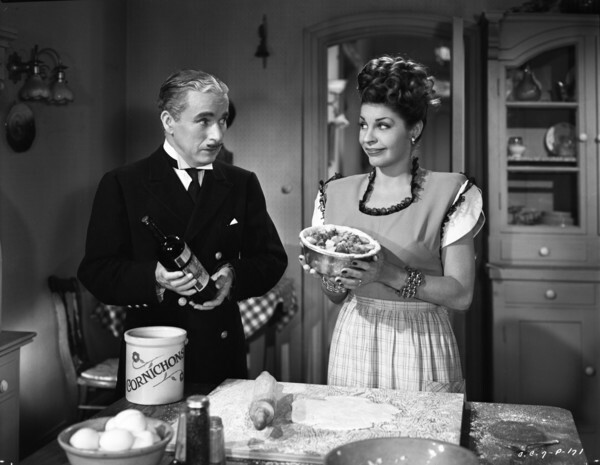 The very first of these was Celebrated Actor-Folks’ Cookeries. It was published in 1916 by Mabel Rowland, Inc., with the proceeds being donated to the Red Cross and the Actor’s Fund. Recipes from the book have been donated by the likes of Douglas Fairbanks and Mary Pickford (not a couple at this point), Chester Conklin, Mabel Normand, Roscoe Arbuckle, Mack Sennett and more. Charlie not only donated a recipe for an apple roll, but a picture, an autograph, and a comment as well. Get 2 pounds lean steak, 1 beef kidney, and 1 small onion. Cut the steak and kidney into two inch pieces. Flour them. Add pepper and salt to taste. Line a deep pie dish with rich pie crust after having buttered dish. Put inverted egg cup in center. Fill with meat and finely chopped onion. Add water almost to top of dish. Roll pastry half inch thick and cover all. Make several small holes in pastry to permit steam to escape. Bake three hours in moderate oven. EAT. Stiffly beat egg whites, add yolks. Beat together; then add sour cream, soda and salt. Beat all together and add flour. This makes about 30 small pancakes. Sincerely Yours, published also in wartime (1942) and compiled by Bess Boardman, provided money to war relief organizations. Boardman writes in her dedication that “because I am one who considers it [cooking] a great art, I am dedicating this little book to those persons who have acquired, by certain sensory training, a true understanding of that intangible something which is the art of cooking.” Listed as Charles S. Chaplin, as if the “S” were necessary at this point, Charlie offers us Welsh rarebit, a dish still today on the menu at Musso and Frank’s on Hollywood Boulevard, a place he frequented over the years with Douglas, Paulette, and many others. As we were leaving leisurely by limousine a half hour later, with Mr. Chaplin ever so graciously shaking hands and wishing us well, I had a sudden thought: Did he drop his roll on that beautiful carpet deliberately to keep us from being uncomfortable because we’d dropped ours? We’ll never know. While I am sure there are more delectable Chaplin recipes yet to be found, I will end with the first several-course meal included in The Myra Breckinridge Cookbook, also 1970, a book which is introduced by the quote, “Myra Breckinridge is a dish, and never forget it.” The first entry is, indeed, “The Gold Rush Shoestring Spaghetti Dinner” complete with Shoestring Spaghetti (spaghetti with clam sauce), Shoe-tender Sole (filets de sole with grapes), asparagus salad, boiled new potatoes, crème brulee, and Parker House rolls. Bon appetit! !